Royal Honda is a Yorkton Honda dealer and a new car and used car Yorkton SK Honda dealership. Terry’s philosophy has always been to put customers and community first. 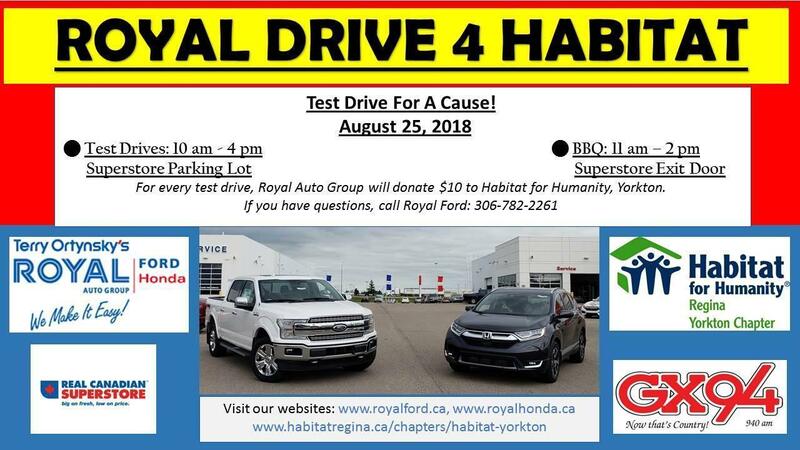 With that in mind, staff at Terry Ortynsky’s Royal Ford and Royal Honda have set out to be exemplars of community service and commitment, and good neighbours. Here are a few of their successes so far.